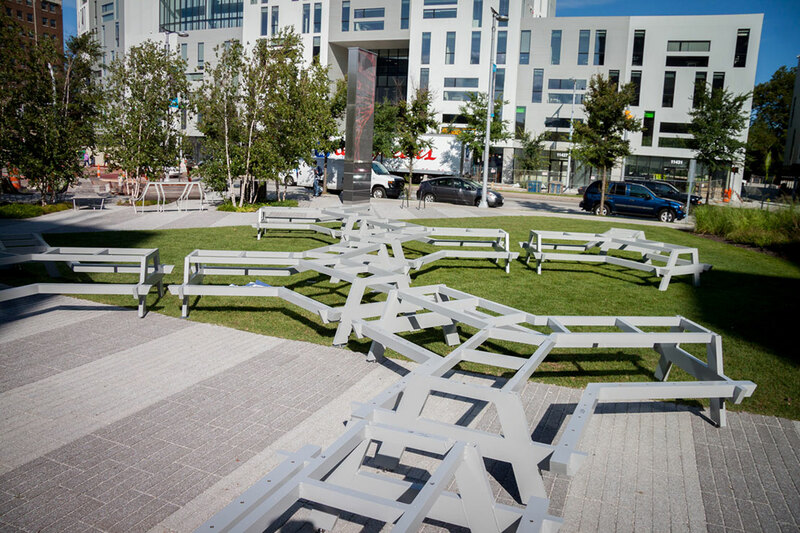 The Great Picnic is a project designed by Brooklyn based artist Mark A. Reigelman II for the Putnam Collection of Case Western Reserve University. 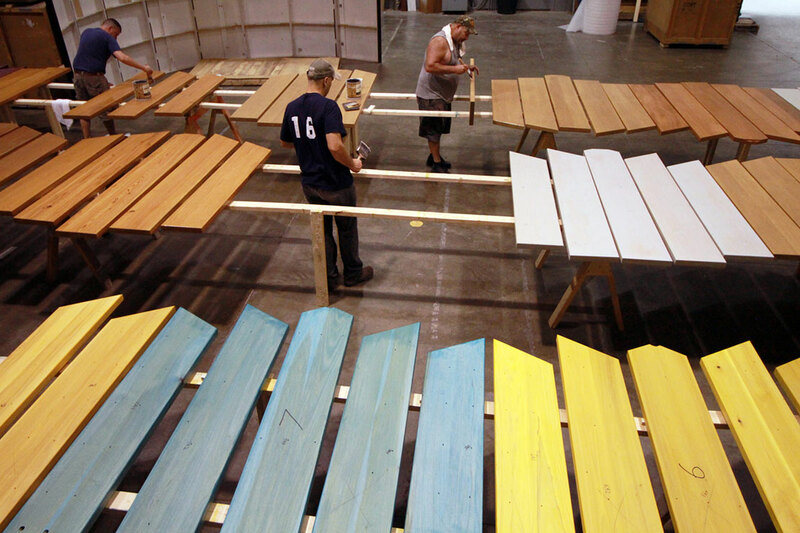 The goal of The Great Picnic was to create a modular table unit that reflected conceptually the confluence of people and ideas that picnic tables encapsulate. Through subtle shifts in form, color, and material, the Great Picnic highlights this intersection while still retaining the identity of this simple structure. 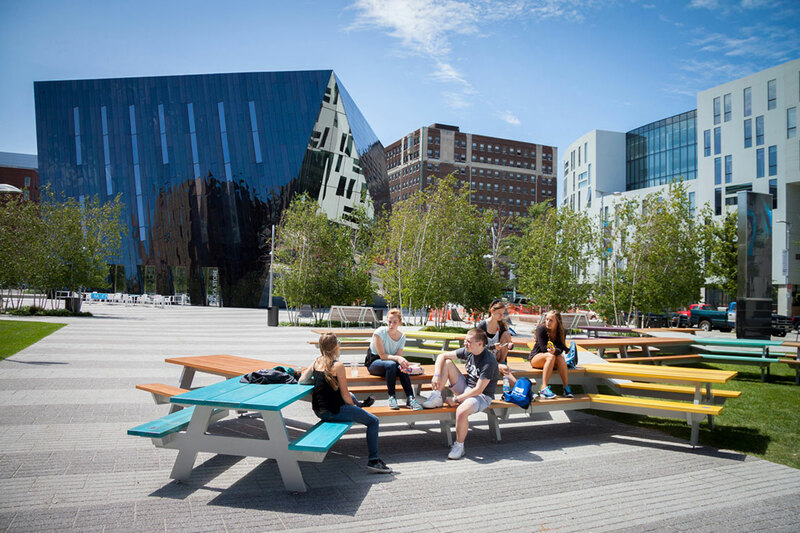 It is positioned adjacent to the Museum of Contemporary Art in the Case Western Reserve University Plaza. CEI collaborated with Brooklyn based artist Mark Reigelman II on this project. Our goal was to bring Mark’s creative vision to life within budget and on schedule for Case Western Reserve University. 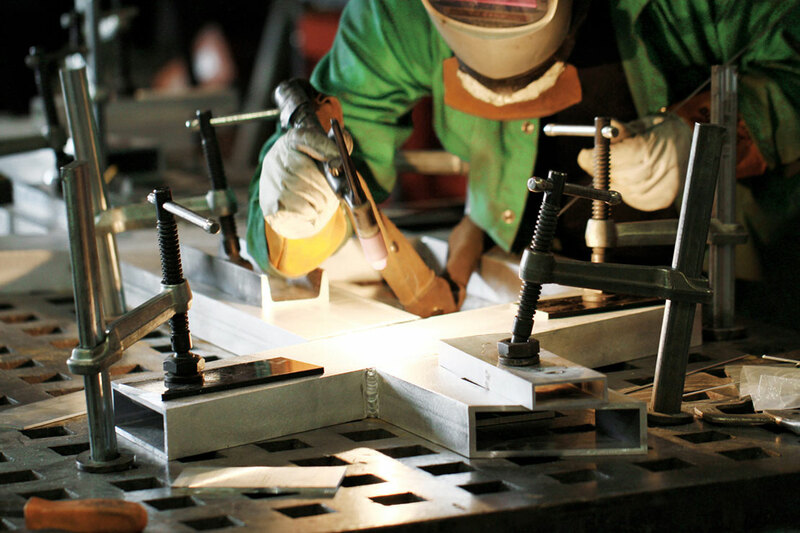 CEI was responsible for engineering, material selection, fabricating, and installing the artist’s concept. 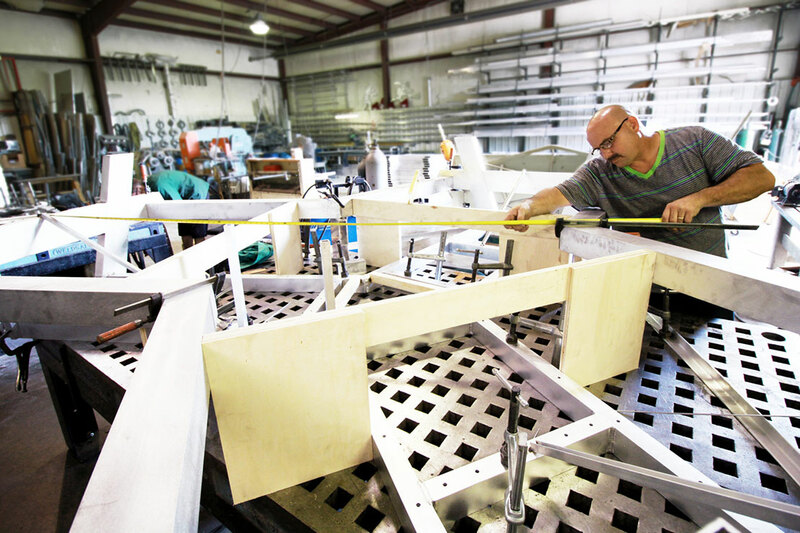 We engineered and fabricated each module to be composed of three individual intersecting tables constructed of wood that ranges from certified reclaimed heart pine and knotty douglas fir to african mahogany and white oak. 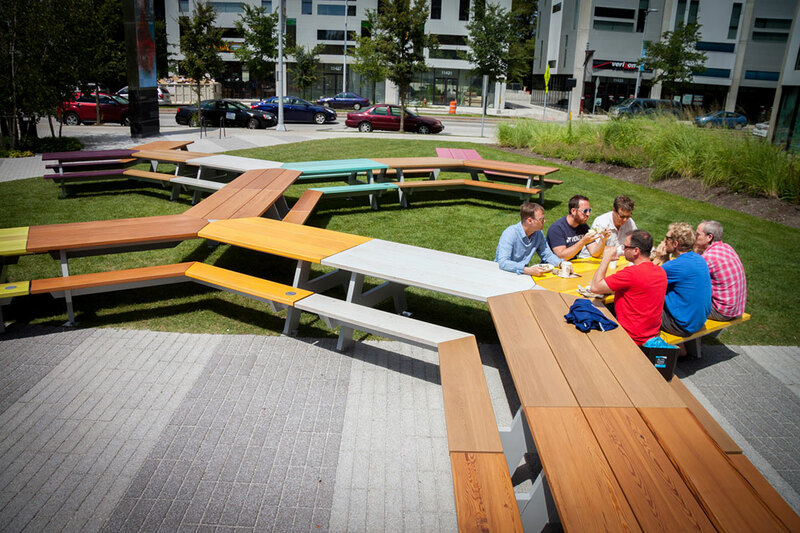 They present subtle shifts in form, color, and material, directly reflecting the notion of convergence, both physically in the design; as well as the intended role of the picnic to act as a meeting place for individuals to enjoy food and conversation. The substructure is welded and powder coated aluminum, for durability in the elements. The result was a real-world achievement of Mark’s vision. 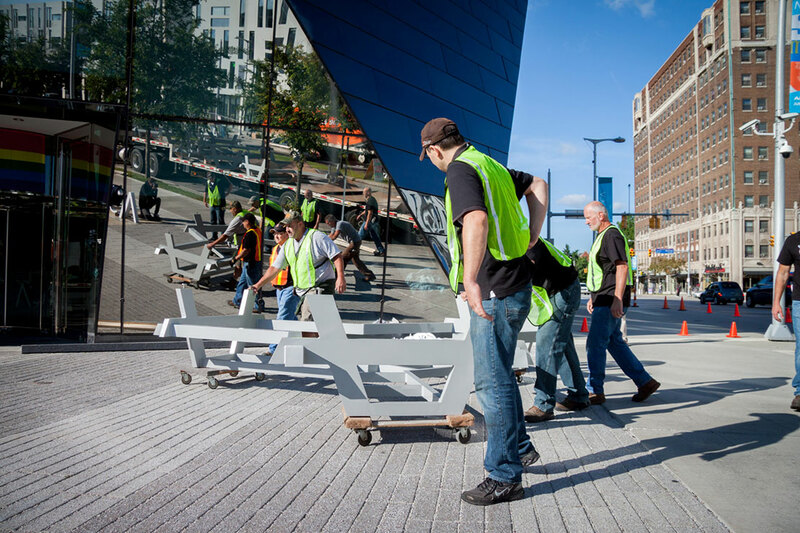 CEI created an exterior museum quality modular picnic table area for students and others to study and socialize.